Staying cool this summer shouldn’t cost a fortune, but for many homeowners, energy costs double or triple as the dog days of summer heat up with scorching hot temperatures. This leaves them paying $200 – $300 and sometimes more to cool their home with the A/C unit. 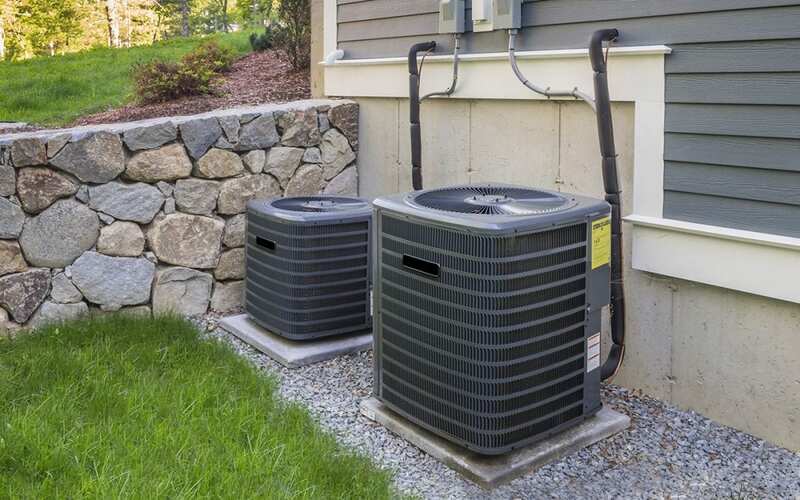 If you’re ready to beat the excess costs of cooling the home, there are many simple tricks to help you do so while easing the strains of outrageous energy bills. Read on to find out how can you minimize cooling costs this summer! Some days are real scorchers, leaving you to swelter through the day without a lot of relief in sight until you come into the cool confines of your air-conditioned home. But some days aren’t so extreme and give us the chance to turn off the A/C, open the windows, and let in the fresh air. Take advantage of that opportunity to reduce indoor air pollutants and reduce summer cooling costs. If a programmable thermostat isn’t already installed in your home, now is the perfect time to consider an upgrade. The programmable thermostat can reduce cooling costs by 40% or more while maximizing the comforts of everyone in the home. Before the upgrade, keep the thermostat set at a temperature between 72 F and 75 F for maximum energy efficiency. Place room A/C units on the north side of the home away from sunlight. Replace an HVAC system that is 10 years old or older. Keep the filters in the A/C unit clean and replace them every three months. Moisture is another culprit of wasted energy costs in homes throughout the country. Humidity is just as unpleasant as heat inside of a home. Keep moisture levels at normal levels in the home and enjoy a far more comfortable environment. Minimize moisture levels by keeping plants outside, using a dehumidifier in the house, and waterproofing the basement! Many people heat up their homes and cause their A/C units to work harder without realizing their actions are causing such stress. Are you running the dryer during the day? Hang the clothes outdoors instead. Running the dishwasher? You’re heating up the home. Any appliances or other items that use electricity or produce heat can increase the temperatures inside the home. Because of this, summer use should be minimized until night time or put off until a cooler day. Phone a pro to come out to inspect and tune up the A/C unit annually. An annual tune-up averages a cost of about $100 but reduces the need for repairs as it prolongs the life expectancy of the unit. Additionally, the tune-up allows homeowners to maintain energy-efficiency and can minimize cooling costs by as much as 30%! InspectorUSA provides home inspection services, testing services, and commercial property inspections to Central Kentucky. Contact us if you would like to schedule any of our services.